Have you ever heard the saying the early bird gets the worm? Let’s be honest, it make’s life a lot easier. This summer is going to be full parties. With Memorial Day, graduation, and the Fourth of July, you’re going to need to contact your local rental company early to get prepared. To have a more successful party, book your rentals early. Party rentals are easy to find and the earlier you use them, they better they are. Booking your rentals early does three important things. It saves you time, saves your vendor’s time, and allow you to rent the merchandise you want. Booking early saves you time from having to worry about things you can’t control. If you need to cancel an order, or create another one, the rental company will be able to work with you for all of your needs. Using rentals also saves you money from having to make whole purchases on items you may never use again. Party rental companies carry everything you need from decorations to bounce houses. Some can even help you plan your entire event from local entertainers to recommending caterers and venues. However keep in mind that certain items do sell out faster than others. Some items like bounce houses, chair and table rentals, and especially tents go quickly. More than anything else, booking early ensures you get the equipment you want for your special event. Starting early saves you time and money, but it also helps out your vendors. Most people and businesses are at their best when they are given time. Booking early will allow your vendors to have their inventory in order, as well as being prepared for any provisions requested by you. For example you want to square away the delivery of your rentals. If this was a surprise party, you will need an expedited delivery and set up. If it’s a wedding, you need to have everything in order well in advance. You can always expect to find an impressive selection at your local party rental store. Even if it’s something that’s not in stock, by booking early you can rent items that are not normally available. Rental companies work hard to make sure that their rental inventory is up to date, complete, and reasonably priced. 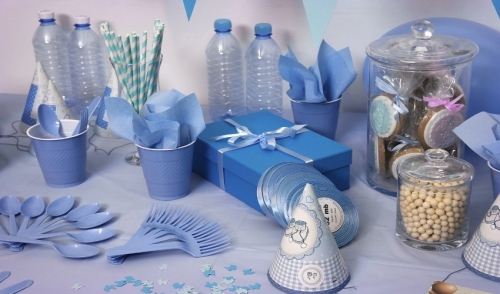 Book your rental merchandise early to make sure your next party is a success.